Leadership begins with your commitment to personal development. This growth mindset is a key part of your Rotman experience, both in and out of the classroom, where you will be exposed to new challenges to hone your leadership capabilities, engage your intellectual curiosity and leverage lifelong learning through the Rotman community and in your career. "Rotman may well have the most far-reaching personal development initiative of any MBA program in the world." Rotman’s recognized expertise in leadership development is now a fundamental component of our Morning MBA and Evening MBA, with a new program-length course which will enhance all your MBA studies. You’ll integrate course learnings with your professional experience, 360 assessments, a leadership retreat, immersive simulations, group work and personal coaching to build the skill set which will result in your desired leadership outcomes. Rotman’s unique approach to problem solving will provide you with an array of opportunities to hone your strategic analysis and presentation skills, apply insights from our leading business research in behavioural economics and data-driven decision-making, and work directly with companies to solve real problems. To be a successful leader, you must demonstrate empathy, self-awareness, and the ability to inspire and motivate your colleagues into action. 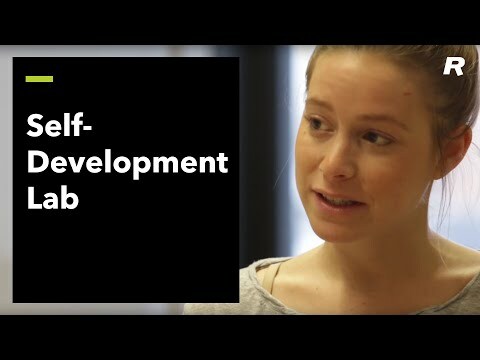 The Self-Development Lab offers transformative programs of personal discovery and leadership development to hone the skills, resilience and self-awareness you’ll need to thrive in your career. Each year, Rotman is proud to hosts over 100 public talks by best-selling authors, senior management executives, award-winning journalists, and other business thought leaders. The real-world perspectives, insights, and inspiring stories shared by our invited speakers have an extraordinary impact on our students. Experience what it’s like to make a difference. 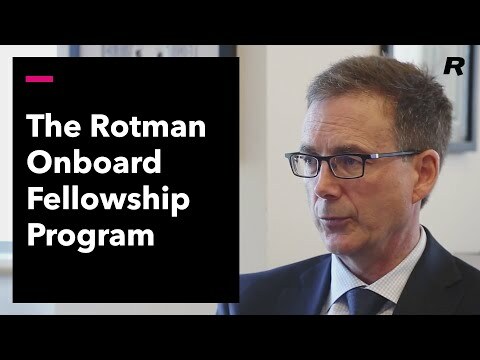 The Rotman Onboard Fellowship Program matches upper-year MBA candidates with nonprofit boards and charities for a six-to-eight month fellowship to act as advisory and non-voting board members and complete a strategic governance project based on each firm’s needs.